Bob and I love to try new-to-us restaurants and St. Louis has so many that we haven't tried that this isn't a hard task at all. When Ashley and Eric make it to town, we really want to share with them all the ones we have tried and loved and then find one for us all to try together. 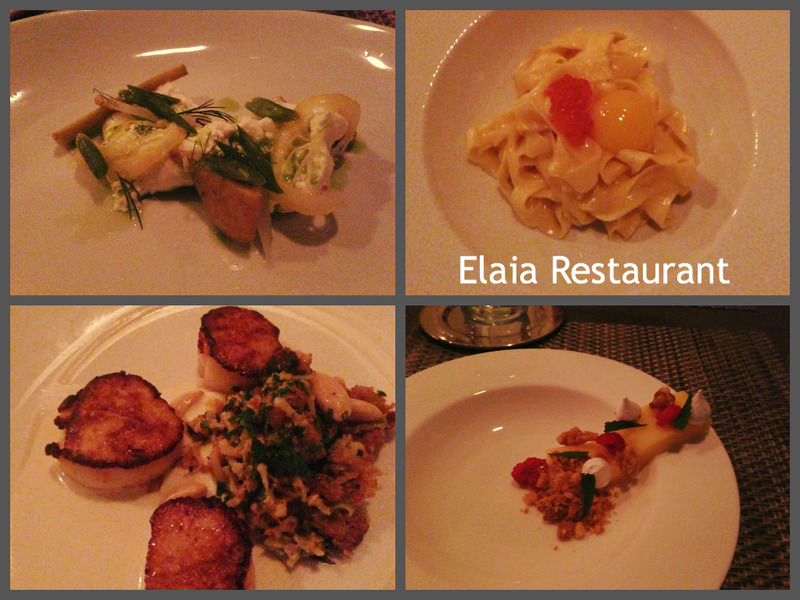 Last night we tried Elaia. It is over in the Tower Grove area, which we have really come to love. The restaurant is housed in a two story two family flat that has been converted on the inside to a beautiful modern restaurant. Before you come into the flat, you go through a renovated art deco gas station that houses another restaurant called Olio. You are presented with the Menu of the Day which lists four courses. You can order a la carte, or the four course meal. 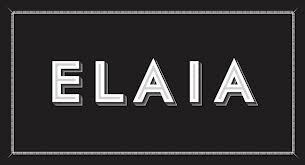 Elaia has an extensive array of wines, which they will serve half glasses of, so you may have the perfect wine for the part of the meal you are currently eating. That's a nice feature for those who love wine (Bob, Eric, Ashley) with their food. I am a water kinda gal with food, although I did have a glass of wine with my scallops. 1. Cold first course: Berata cheese with preserved candied lemon peel, asparagus, artichoke and dill. The cheese is made with the leftovers of making mozzarella cheese. It is cool and squeaky on the teeth. Loved every bite and hated to share, but I did. 2. Warm second course: House made fetticcine with a quail egg and salmon roe. The egg is raw but when you mix the roe and egg with the fetticcine, bliss. The noodles were coated in a fine lemon cream sauce. Such a yummy course. 3. My mail course was scallops with cauliflower, white gazpacho, marconas, green almonds and sherry. The best dish so far. Scallops grilled perfectly, and with a bite of the mash, was excellent! 4. The last course was dessert. Mine was a lemon tart, with raspberries, homemade meringues and a sugar cookie crumble. Delish! and trying out Olio in the renovated Standard Gas Station. If you are in St. Louis and want to go, call! !